You can earn 570 yards with this purchase! is this “complete set” 12 clubs ? It is a 10 piece set including: Set Makeup: Driver, 3 Wood, 4 Rescue, 5 Rescue, 6-PW, SW.
Are these steel shafts, or graphite shafts? I’m new to golf. Can you list all 10 clubs in the set? 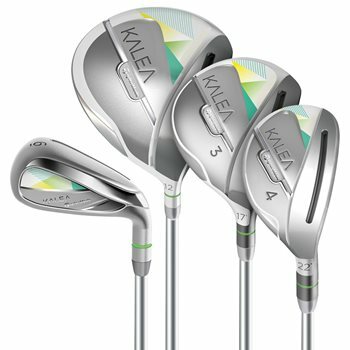 The set includes a driver, 3 wood, 4 and 5 hybrids, and a 6,7,8,9, Pitching Wedege and Sand wedge. Could you send me pictures of these irons and woods?